The spring season overall was a success for the academics and athletics of the Epsilon Iota chapter. Their achievements as pledge class (Spring ’16) has been noticed as the highest spring grade point average of 3.2. Along with the chapter’s progress in the intramural reign, with six 1st place wins in spring intramural sports and coming in second for Greek Week with Sigma Chi and Alpha Xi Delta. The following championship wins are as follows: football, volleyball, outdoor soccer, ultimate frisbee as well as coming in first for Alpha Chi’s philanthropy event called Frisbee Fling and Alpha Delta Pi’s Diamond Dodgeball Tournament. 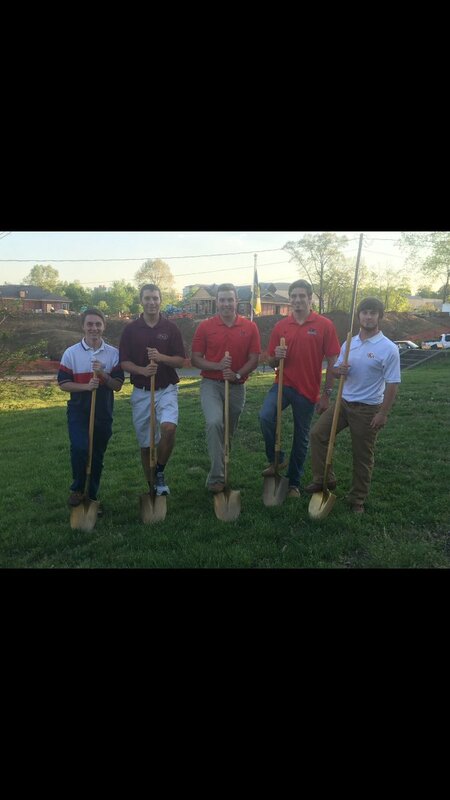 Here is a picture of our Executive Board attending the breaking ground ceremony had for the new building being finished in 2017.